If you are outgrowing your NJ Midtown Direct starter home, and you are hoping to trade up to a larger home, now is a great time to do so! The inventory of homes for sale in the luxury market far exceeds those searching to purchase these properties in many areas of the country and our market is no exception. The upper bracket homes are often staying on the market longer which often leads to a price change. 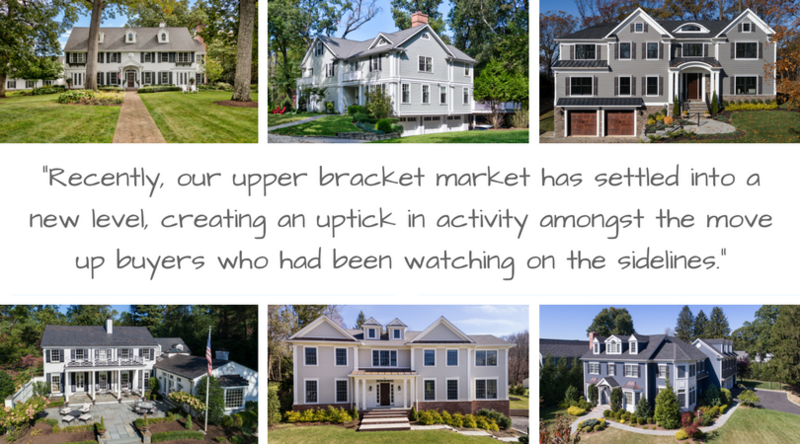 Recently, our upper bracket market has settled into a new level, creating an uptick in activity amongst the move up buyers who had been watching on the sidelines, and we are seeing buyers jump in to take advantage of these great prices. On the flip side, it is still a Seller’s market for your “trade up” home and it is not uncommon for buyers in this price bracket to be competing for your home. The sale of your starter or trade-up house will aid in coming up with a larger down payment for your dream home. And since the upper bracket market has come down, the timing makes sense for the move up buyer to jump into this market, before rates jump. The best time to sell anything is when demand is high and supply is low. If you are currently in a starter or trade-up house that no longer fits your needs and you are looking to step into a larger home, the opportunity to benefit from this has never been better. If you are considering trading up, just give us a call for your complimentary consultation 973.936.9129 and take a look at our current listings to see what might fit your needs. Our team of specialists is here to help you find the home of your dreams!